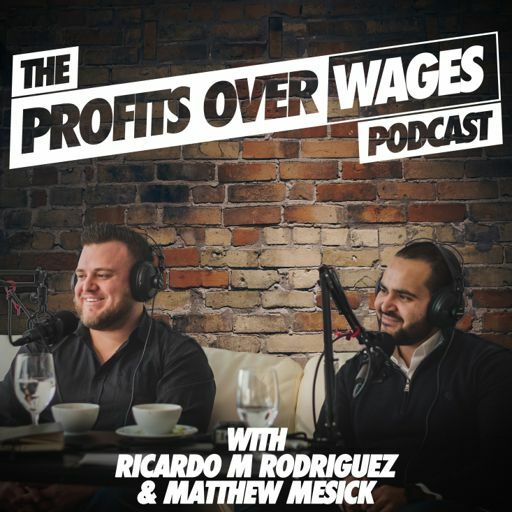 On Episode #17 of the Profits Over Wages Podcast, we sit down with Vito Glazers - He is a real estate investor, media entrepreneur, contributing author, TV producer, and actor. Vito has founded several successful management and advertising agencies and consults some of the world's largest brands and celebrities on how to maintain positions on new media platforms using digital advertising, podcasts, social media, and video on demand. He has helped deliver hundreds of millions of website visitors to merchants and joint venture partners around the world. He is regularly featured in print, television, and internet media and helps entrepreneurs to do the same. Vito has been featured on CBS, The Mancow Show, Huffington Post, WE TV’s Mystery Millionaire, Bravo, Yahoo Finance, ABC, NBC, FOX, & more. Forbes recently named him a Top Digital Entrepreneur and New Theory ranked him one of the “Top 40 Millennial Influencers to Follow in 2018”. He also is an advocate for the Father’s Rights Movement and appears in the nationwide television campaign for DadsRights.com, after almost losing his son in 2016 to a vengeful ex in a nasty custody dispute. On this episode, we go in-depth about investing in apartment buildings, the pros, the cons and tips on how to get started in real estate investing. We also talk about digital marketing, internet marketing, PR and reputation management. Vito also gives us a couple PR strategies that have helped him and some of his clients get tons of publicity for their businesses.